It goes without saying that the best mold allergy treatment would be to avoid exposure to mold. Unfortunately, it's not always possible to avoid all exposure to mold, though you can certainly take steps to minimize your exposure. If you are experiencing symptoms of mold allergy, however, you'll want to know how to relieve those symptoms. We'll tell you about the common symptoms of an allergy to mold, how the condition is diagnosed, and how it's typically treated. Of course, we can only provide general information and cannot give you medical advice. For that, see your doctor. 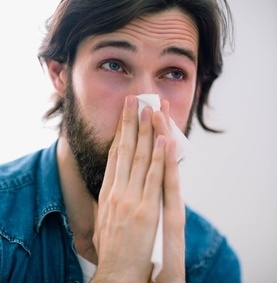 While symptoms of an allergy to outdoor mold are most likely to occur in the spring and fall, indoor mold can cause allergy symptoms year-round. The symptoms are similar to the symptoms of any other environmental allergy, such as an allergy to grass, pollen, dust, or pet dander. While mold allergy symptoms are usually respiratory in nature, in some cases, an itchy rash or hives also results. People that have asthma as well as an allergy to mold often experience an increase in asthma symptoms or asthma attacks. In addition to the above symptoms, they may experience a feeling of tightness in the chest, wheezing, shortness of breath, and difficulty getting enough air in their lungs. In rare cases, people develop a condition known as allergic bronchopulmonary aspergillosis. According to the Asthma and Allergy Foundation of America (AAFA) this is a condition in which the mold allergy triggers severe inflammation in the airway. Symptoms are similar to those seen with asthma. If you're experiencing symptoms of mold allergies, see your doctor. If you have asthma, you might prefer to see the doctor that treats your asthma. Otherwise, you can just see your primary care physician. Let your doctor know if you've been exposed to mold in the home or if you think your symptoms might be caused by mold. Doctors typically diagnose an allergy to mold by completing a physical exam and taking a detailed history. Your doctor may also recommend a skin test in which the skin is scratched and a small amount of various allergens are introduced to see if a reaction occurs at that spot. If you react to mold, that means you're allergic to it. This test is typically conducted by an allergist, so your primary care doctor may refer you to one if he or she thinks the test is needed. There is a blood test that is sometimes used to help diagnose allergies, known as a radioallergosorbent test, but it is not as sensitive as the skin test and it also takes longer to get the results, so skin tests are often the preferred diagnostic test. Talk to your doctor about the pros and cons of the various options available to you. The appropriate treatment for you will depend on your specific symptoms as well as any other health problems you may have, such as asthma. 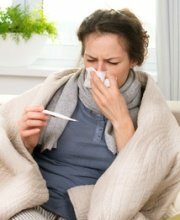 Mold allergy treatment may include decongestants, antihistamines, or other medication to relieve symptoms. For significant inflammation or for hives, corticosteroids may be prescribed. Medications may be taken orally or in the form of a nasal spray. For a rash or hives, a corticosteroid cream may be recommended. Medication such as Singulair may be prescribed to block the action of leukotrienes, chemicals that cause symptoms like excess mucus. It is often used for allergic asthma but may also be used to treat mold allergies even if asthma is not present. Addition medications, an inhaler, or breathing treatments may be needed if a mold allergy triggers asthma. Your primary care physician can treat minor allergy symptoms but may refer you to a specialist such as an allergist if your allergies are severe. Allergy shots, also known as immunotherapy, may be recommended to desensitize you to mold and any other substance to which you are allergic. For those, you'll need to see an allergist and you'll first need to have a skin test done to determine to which substances you are allergic. As we said earlier, the best treatment for a mold allergy is to avoid exposure to mold. That means that in addition to whatever medical mold allergy treatment is prescribed by your doctor, if you're allergic to mold, you'll need to avoid exposure as much as possible. 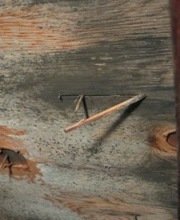 Now, mold is everywhere in the world around us, so it will not be possible to avoid it completely. However, if there is mold growing in your home, you'll want to have it removed as soon as you can because that degree of daily exposure to mold will greatly exacerbate your symptoms. Some homeowners prefer to handle mold removal themselves, but that's not such a good idea if you're allergic to mold. The mold removal process exposes you to mold spores that can make your symptoms much worse. The U.S. Environmental Protection Agency (EPA) recommends consulting your physician before removing mold if you're experiencing mold-related health problems and we concur. If you're allergic to mold, it's likely that your doctor will advise you to arrange for someone else to handle the mold removal for you. If you need assistance with mold removal, we suggest scheduling a free consultation with a mold removal professional. An experienced professional will visit your home, inspect for mold, advise you about the work that needs to be done, and answer any questions you might have. There is no cost and you're under no obligation, so even if you plan to do the work yourself, you can benefit from some free expert advice. To find qualified mold removal professionals offering free in-home consultations in your area, just follow the link. 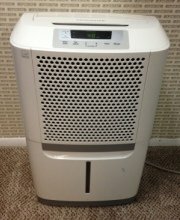 Air Purifiers For Mold - Will an air purifier help with your allergies? Benefits of air purifiers, features to look for.